I just wanted to share some quick cards I made this afternoon, whilst trying out some new colour combinations. This combination was Rose Red and Rich Razzleberry. 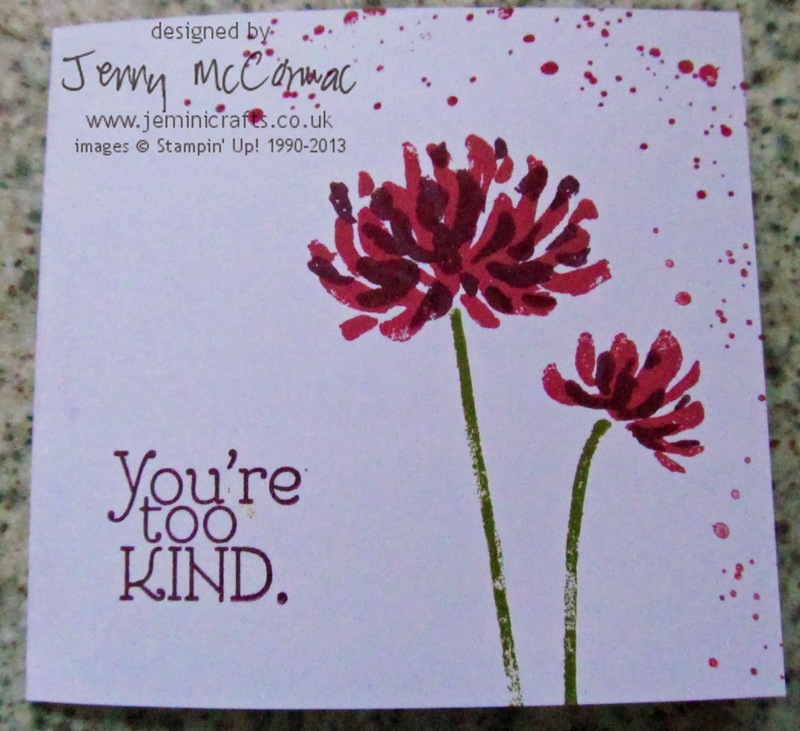 I used the stamp set "Too Kind", and I have a feeling it is going to get plenty of use in the future. 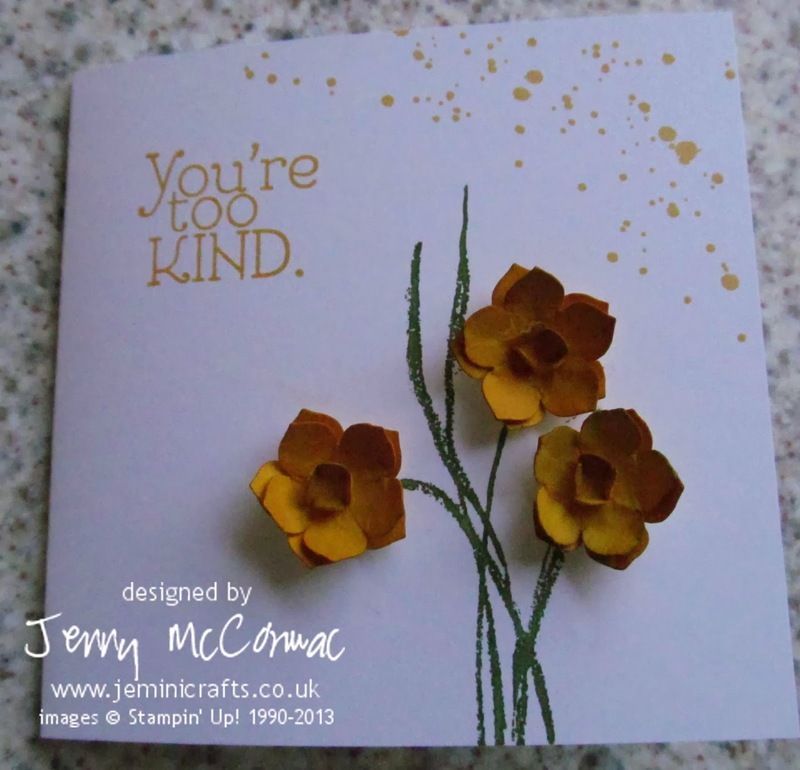 Caroline Hallett, one of my lovely downlines, posted a card on her blog made using the Petite Petals punch. Another Demonstrator (Paula Knall) had shared this idea on her blog recently and so I just had to give it a go! Here is the result. I used the same basic layout, but added the flowers for a 3D effect. Don't they make great daffodils! Thanks for viewing my BLOG. 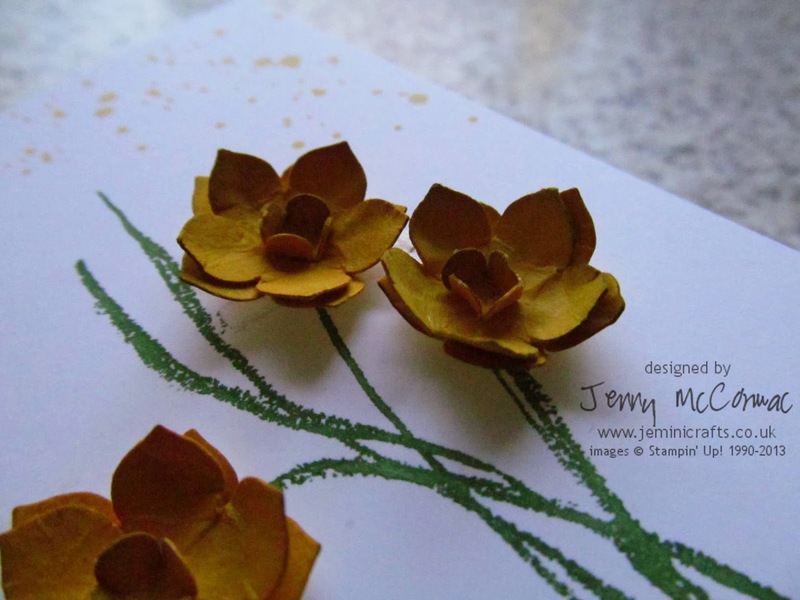 I am off to prepare for a craft evening at a local independent cafe, where I will be offering beginners card classes to complement my existing class schedule.